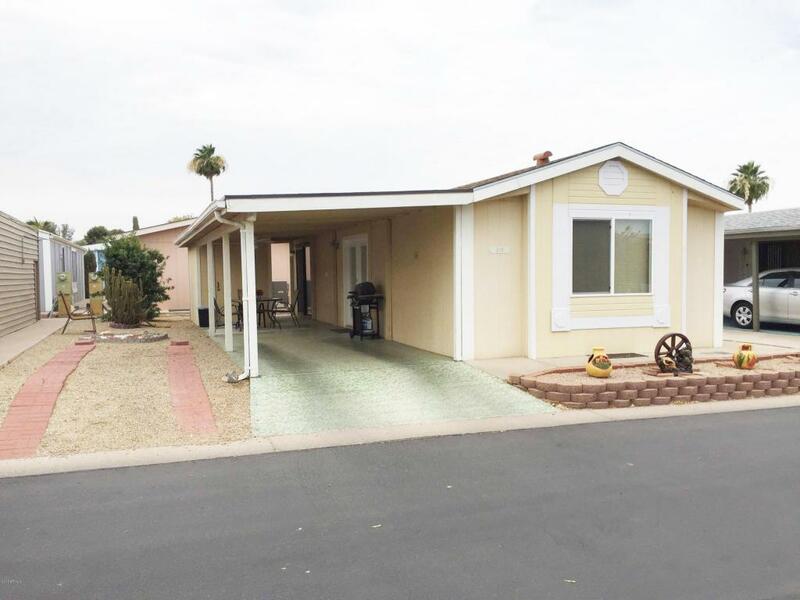 Cute, clean 1-bedroom, 1-bath manufactured home in the 55+ gated community of The Wells. HOA pays for water, trash, basic cable. Many community activities, close to shopping, dining, and the Loop 202 Freeway. No pets allowed; assistive animals only. Tenant pays 1.75% tax monthly and 1-time $95 administrative fee.